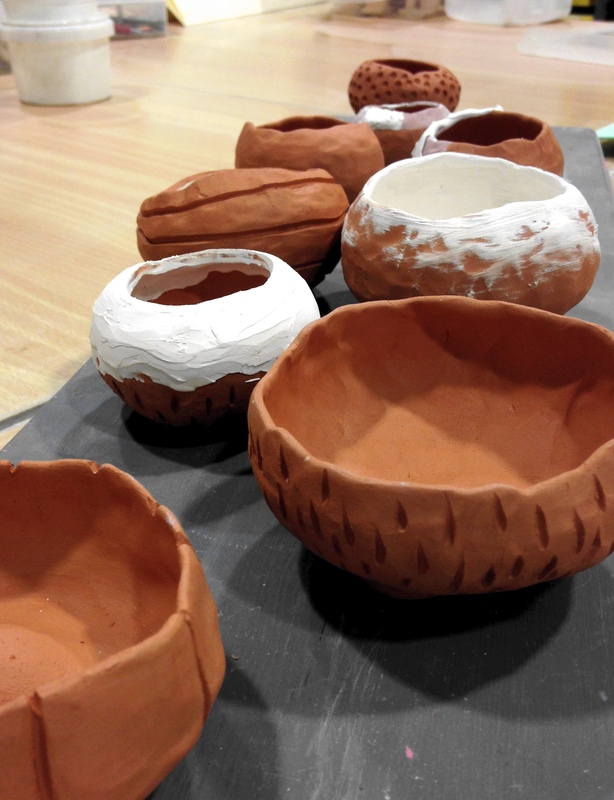 Within the past few weeks I have been learning how to reclaim waste clay. I have been making pinch pots with the results and combining the clay bodies with handmade frit and waste porcelain slip. I am pleased to confirm they have survived their bisque firing and are now ready to be glazed.